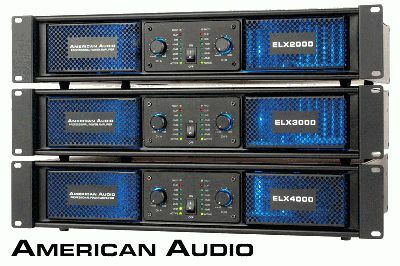 ELX Power Amplifier Series – With their glowing crystal blue front panel, these unique-looking professional amplifiers will definitely make a stand-out impression on stage. Not only do they add eye-popping color, the attractive ELXs will also pump up the excitement level of any performance with their high-quality sound amplification. They feature a frequency response of 20Hz-20KHz (+/-01dB @ 8 Ohms), total harmonic distortion less than 0.1%, and balanced XLR inputs. Designed to offer professional features at an affordable price, the ELXs also include In/Out/Thru connections and a high-powered cooling fan. “DJ Etronik” ETR 1000 Headphones – Become an instant star when you put on these brightly-colored, highly-stylized DJ headphones! Available in racy red and electric blue, with more vibrant colors soon to be added, the ETR 1000 Headphones give performers a fun way to express their colorful personalities from the “top” down. But their beauty is more than just skin deep. The headphones were designed exclusively for American Audio in collaboration with former DMC champion Edgar (DJ Etronik) Bernal to deliver the outstanding performance and professional features that today’s entertainers want most, including 2500 mW of power, a 40 mm driver and a dynamic range for great highs and lows. Equipped with plush leather padding, the ETR 1000s are extremely comfortable too, and because they cover the entire ear they cancel nearly all outside sound for superior noise isolating music monitoring. Adaptable for double or single ear monitoring, the ETR 1000 headphones come with a 5 ft./1.5M tangle-free cable and a convenient carrying bag. MXR Series Controllers – Want an easy way to control your digital music and video without sacrificing the benefits and “feel” of a traditional mixer? 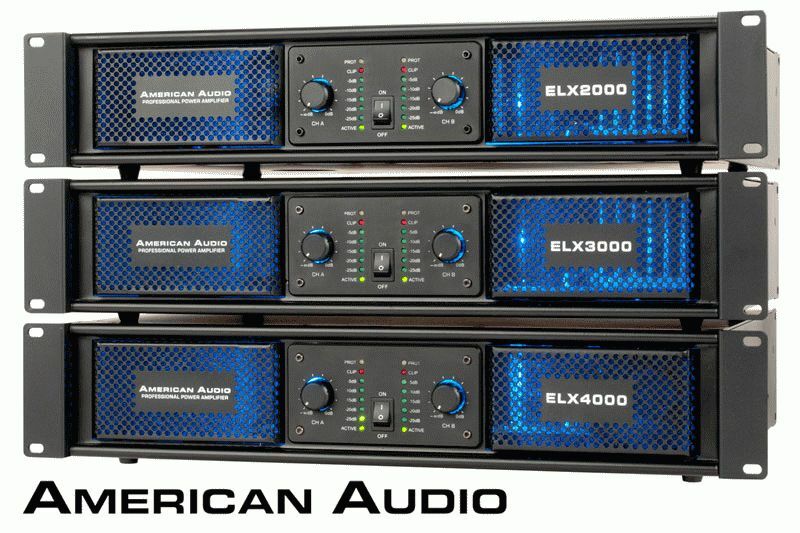 American Audio is answering this demand with MXR Series controllers, three MIDILOG™ equipped models -- 10 MXR, 14 MXR, and 19 MXR -- that offer the flexible option of using either MIDI or analog inputs on all available channels. This not only gives DJs and mobile entertainers total control over any computer music software, it also allows them to add traditional playback sources like turntables, CD players and media players, so they can thoroughly customize their mix. Unlike previously available MIDI controllers, the MXR Series includes all the essential features of professional-grade DJ mixers, such as balanced XLR outputs, line/phono inputs, output levels LEDs, multiple mic inputs, stereo headphone input, and replaceable crossfaders with curve adjust. Each MXR unit also comes with Virtual DJ LE software, as well as a DSP sound card with a 4-in/4-out audio interface. SenSeries Speaker System -- This series of highly flexible and compact German-engineered speakers is designed to provide concert-quality sound, even in smaller and oddly-configured venues where space and appearance present special challenges. The SenSeries consists of three different-sized speakers – Sense 8, Sense 12, Sense 15 – along with two matching subwoofers -- Sense 15B and Sense 18B. All SenSeries speakers have passive crossovers that are fine-tuned for optimum acoustics and excellent dynamics, and have been developed using complex frequency curves and delays for the finest audio quality. They utilize a proprietary rotatable horn design with a wide-dispersion range that brings crisp-sounding audio to the far reaches of any venue. Their flexible cabinets feature an asymmetric design that allows for both front-of-house and monitor usage, and thanks to their compact build and convenient M10 fly points, the speakers can be installed quickly and easily, even in cramped spaces, hard-to-reach spots and tricky angles.